I wanted to be the first. I had such great intent, all the people all the feedback, so much talent. Then I read one, and another, and finally, after about a half dozen or so of other great posts regarding who met ‘who’ and how ‘Blitzed & Schnockered’ we got Saturday night after the sponsored dinner, I figured there really wasn’t much I could contribute. 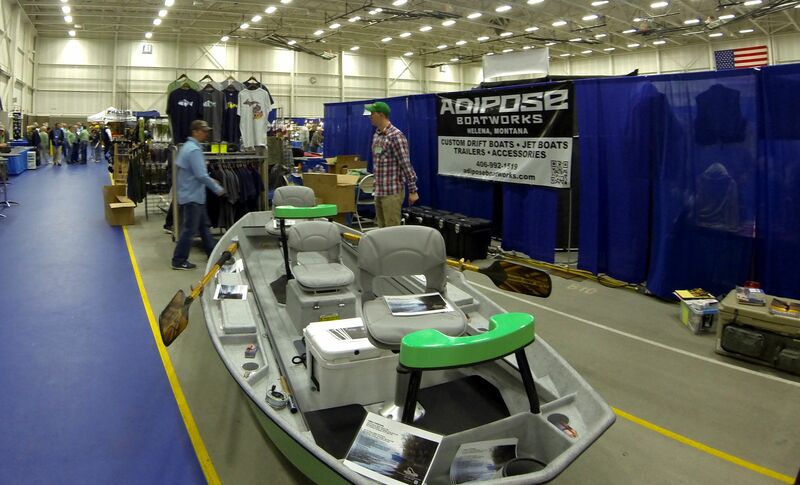 Personally, I hope to not be the last to report on the Mid-West Fly Fishing Expo of 2014; so please, if you have yet to hit publish, do so, now. It wasn’t that there weren’t some amazing guys and gals at the show, there truly were. I got a chance to chat with fellow swamp donkey hunter and fly fishing guru Landon Mayer, which was really cool. I wish I would have met and seen Joe Humphries’ casting presentation, what a wealth of fly fishing knowledge. We heard the opera-etic talents of the phenomenal fly tier Oscar Feliu during our dessert course at the reception. Chatted with a host of other much admired fly fishing/tying talents from across the country. We happened to have dinner with Judy Fuller from Fullers NBOC and the father/son duo from Rite Bobbin and tales from their 800 acre ranch in Montana. It was good to hear we were not the only ones to be inundated with an exuberant amount of that now depleting white stuff- won’t mention that four letter word right now- it is in the forecast for trout opener this Saturday. This Expo was very special to me in many ways. I didn’t get a chance to run around and muck it up with some of the old timers and the new kids on the block, but, rather, I had the privilege of meeting one of the owners of Adipose Boatworks– Mike Ward, and re-acquainting myself with one of the gentleman who not only fished with me and his father last summer, but also had direct involvement in making the very boat I float in, fellow Michigan boy- Justin Waayenberg. The very reason I didn’t get the opportunity to spend as much time catching up with Ray Schmidt with TFO or Dr. Bryan Burroughs from MITU is the reason I was so excited. The Adipose Booth was ‘abuzz’ nonstop from a half hour prior to the opening to the very last guest left at closing. We were very fortunate to be sandwiched in between Becca Schlaff, whose artwork is becoming even more well known, and the Good Guys from Nomad Anglers, who have the best in Reppin’ Your State Color T-shirts, fly tying gear and all your other in river needs. To say I was blown away at the overall enthusiasm from fellow anglers across the midwest at finally seeing a boat of this design close up and in person would be an understatement. Besides the usual barrage of “How much does it weigh/draft/cost?” most people were impressed by the fact it was only 15’4″. “It appears much larger than what most people expect, mostly due to the open floor plan. There isn’t a whole lot of ‘stuff’ in the way, which gives you the impression of space.” explains production manager Justin W to a serious inquiry. “The larger footprint also gives this drift boat an unparalleled level of stability. A guide and a client can be leaning over the edge to net a fish without flipping the aft angler out of the back of the boat. We kept the profile low so that when we were floating the Missouri in any kind of headwind, we wouldn’t be blown around like a hopper on a leaf. ” added Mike W.
“Corey Haselhuhn over at Schultz Outfitters just took delivery of his boat earlier in the week, now Koz isn’t the ONLY Adipose in Michigan.” explains JW. 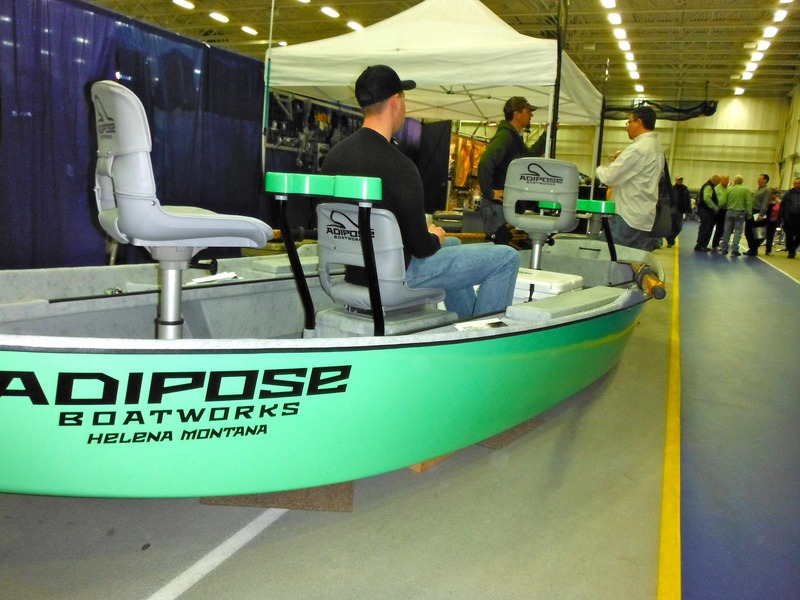 After a weekend of many eyes and a few fly shop owners salivating over how well this boat appears on skids, I am sure it won’t be long before there are others with regular homes on the Au Sable or Manistee Rivers. Thank you to all the wonderful attendees who came up and introduced themselves, fans of True North Trout. I was flabbergasted at how many people appreciate a decent post now and again. Some individuals who go by either Andrew or Robert on Facebook, I apologize for not putting two and two together when you said ‘Hi, I’m Andy/John”- I got it now. Funny how we have an image of someone we regularly see on Social Media holding massive steelhead in our more recognizable Simms Rubber pants uniforms, then we meet in real person with street attire on, I just get another opportunity to laugh at myself. 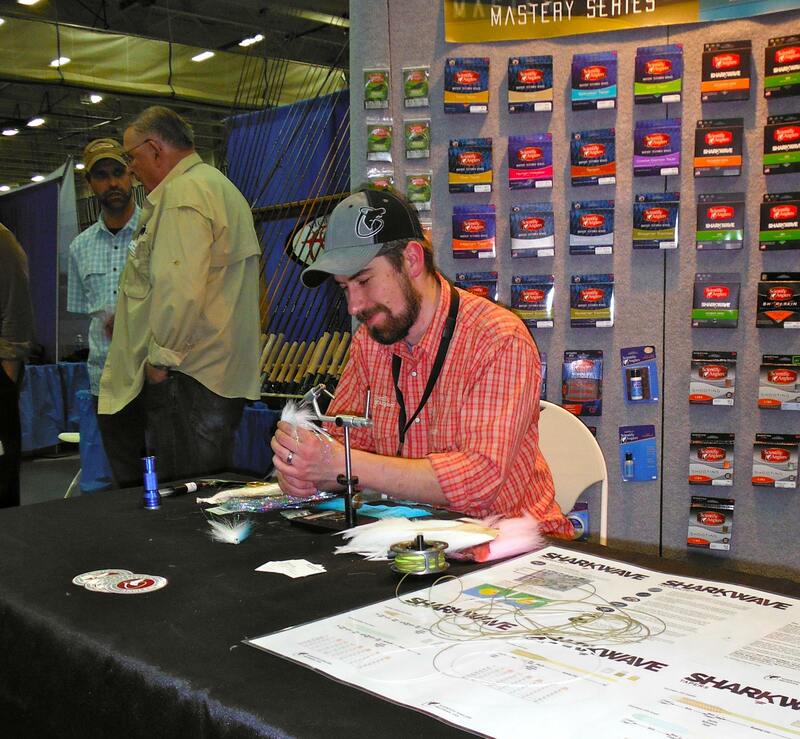 Great to talk to the guys at Scientific Anglers. I got my hands on the new Sharkwave line and in the couple of times I have had a chance to fling a fly with it, I am more than impressed. It has a little whizzing sound, but you will quickly get over that when you see how quietly it lifts off the water, lays out nicely and floats like nothing I have ever seen in a fly line before. I can honestly say, when matched with the right rod, loading is amazing and casting distance is greatly improved. I can’t wait to take it on my favorite slow water this weekend. Here is the Facebook Link Photo Album.